Listed below are homes for sale in Rocky Bluff, a neighborhood located in Near West Madison, WI. Listings are updated multiple times a day from the SCWMLS. For more information about any of these Rocky Bluff homes for sale, just click the "Request More Information" button when viewing the details of a property. We can provide you with disclosures, past sales history, dates and prices of homes recently sold nearby in Madison, and more. And, for your convenience, register for a free account to automatically receive email alerts whenever new Rocky Bluff listings come on the market that match your search criteria. Rocky Bluff is affectionately referred to as an “urban forest” by the neighbors who call this near west side neighborhood home. Despite its close proximity to the University of Wisconsin and the Capitol Square, Rocky Bluff is sandwiched between two large city parks. Quarry Park accounts for the western quarter of Rocky Bluff, and Hoyt Park lies directly south of the neighborhood. Madison’s extensive network of bike paths enables neighbors to take a short walk or ride to Lake Mendota, which adds to Rocky Bluff’s natural charm. Still, Madison’s cultural diversity is on display within the neighborhood. University Avenue runs along Rocky Bluff’s northern border, and its popular commercial corridor features ethnic restaurants and local shops. Rocky Bluff’s close proximity to downtown, Lake Mendota and city parks makes it an attractive location for young families, first-time homeowners and students of the University of Wisconsin alike. Rocky Bluff successfully balances a quiet residential neighborhood feel with more densely populated rental properties. 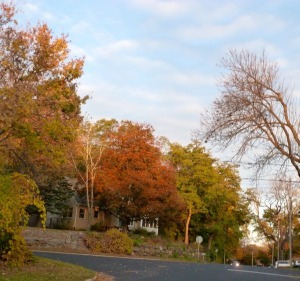 Single-family homes are stationed beneath mature trees that tower over the eastern portion of Rocky Bluff. Architectural features include both turn-of-the-century charm and post-war functionality. Most homes were built here in the mid-1950s. Medium-density apartment buildings are located south of Quarry Park in Rocky Bluff’s western half. 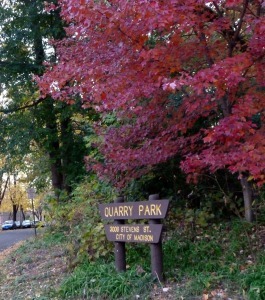 Quarry Park has been a fixture of this neighborhood since the city acquired its 11 acres of forested land in 1953. Hoyt Park, which neighbors often refer to as a forest, is directly south of the neighborhood. 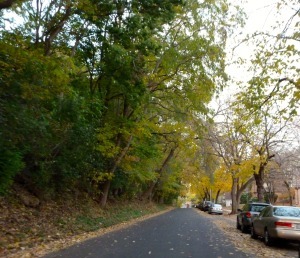 That’s helped Rocky Bluff maintain its reputation as an urban forest. With forested areas, medium-density housing and a vibrant commercial corridor, Rocky Bluff truly offers a little bit of everything. Rocky Bluff is less than three miles from Downtown Madison. That makes the University of Wisconsin, State Street and trendy neighborhoods on the near east side well within reach by bike or foot. UW Hospital and the Veterans Hospital are located to the north of Rocky Bluff along University Avenue. To the west, Hilldale Mall is about a mile away, West Towne Mall is about four miles away, and Middleton is less than five miles away. And Rocky Bluff’s easy access to University Avenue makes those points easily accessible without driving on the West Beltline Highway. For information about finding a home in the Rocky Bluff neighborhood or to sell your Rocky Bluff home, contact our team for a better real estate experience. Rocky Bluff neighborhood is located on the Near West Side of Madison in MLS area Madison – W13. Below are more homes for sale in that area.